It’s not that difficult to start a food blog or recipe website in today’s world. As people come to know about the power of blogging for making money or gaining fame, starting a food blog has become a trend as well. But do you know how to make money from a food blog in 2018? How to start as a blogger and get paid in India? This is the question you should ask yourself in case you are seriously a good cook and want to make money from your skills though food blogging. But even if you have no plan to make money from your recipe website, then also this article will help you to start a recipe blog from scratch which will look professional. Also don’t miss the last section about the tips to generate income from your food blog. Should I start a Food blog for free? In simple terms, if you are good cook and love to prepare various types food at home, and at the same time want to showcase your cooking skill to the world, then you can start a food blog and share all such recipes through your website. In India, almost every women is expert in cooking various dishes specific to their region and they are preparing some awesome dishes everyday for their family. But how many of them are really aware that, there is a huge demand of such recipes online. The simple example of this is the popularity of cookery TV shows. So, through food blogging one can fill up that gaps, educate many people about how to cook home made recipes, or restaurant style recipes at home etc. Well, frankly speaking if you are a hobby blogger and just want to upload your recipes or pictures of home made recipes to the website and share it with your friends, then a free blog might be good to start with. But what if tomorrow you got a good response and got the boost to make your blog bigger? I know you can easily transfer your website from blogspot to WordPress anytime. But, why not think seriously first before even starting a food blog. Blogging is no more just a hobby these days, if you can work seriously keeping the quality high, you will definitely be able to monetize your blog traffic. Even if it may not be so high, but you can definitely be able to generate a passive income source besides your regular work. So, the very first promise your should make yourself is that you are going to set up a self-hosted WordPress only. It’s just take $100 to $120 max to start a professional blog. I am sure many of us aware about the famous recipe website of Tarla Dalal, just imagine from when this website is running and till date how much money it has generated. Here are few of best Indian food blogs 2018 which looks really awesome and I am sure you might be aspiring to have a website like these. Let’s make this dream real and you can also start a recipe blog easily just following these 3 step by step guide below. This is something which is very crucial part of this process. You have to spend enough time to decide about the name of your food blog as this is going to be your face or name of your business. It’s better to choose name which is simply to remember, short and crisp and definitely related to food blog. Many food bloggers prefer to go with a name as per their actual name like archana’s kitchen etc to make it personalize. But if you want to make it brandable or like a business, then you have to think differently. But make sure you are not using any term which can cause any legal problem. Accordingly you have to buy a domain name for your brand. If your blog name whatever you have thought is not available, try to add world like food, recipe, kitchen, foodies etc and try to make the domain as per your expectation. As I have assumed that this article is mainly for them who are ready to start a food blog on WordPress, rather than a free blogging platforms like Google blogspot. So, for a self-hosted WordPress blog one need a recommended hosting provider. In that case I would recommend you to go with Bluehost shared hosting plan as it’s globally recommended. I am also using Bluehost for hosting this website. There are couple of web hosting plans which I could suggest you which will save your money also. My first recommendation would be Bluehost.com. But if you want an India based hosting, then go for Hostgator India. So, that’s the tricky part everyone is worrying about. But with me, you will find that this is the most enjoyable part of this entire topic. Yes, like you I also used to get afraid with the terms like “WordPress” or “web hosting”. 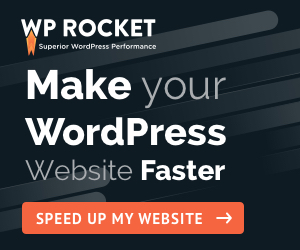 But with time, I have done many WordPress installation in just few minutes. You can follow the step by step guide to install WordPress on Bluehost. You need one of the best wordpress theme for food blog, as look is matters a lot for a recipe blog. So, you should not compromise here. There are various professional WordPress theme providers are available, but if I have to recommend you a theme which will simply make your confusion clear that would be the Foodie Pro theme from Studiopress. But, if you want to explore more options then look for Elegant Themes collection & Thrive Themes. I am using Focus Blog Theme for this website which is from Thrive Themes. Next, you have to make your food blog complete by installing few key WordPress plugins. This will help you to do the SEO for Food blog and make sure your recipes will rank higher gradually. Here is the list of free WordPress plugins that you must install. It is very easy to install these plugins one by one. It’s not possible for me to share the tutorials about how to install these plugins one by one in this article. But I will try to write separate article for each one of them. Here are few tips to start growing your food blog gradually. Don’t even think about making money from the day one. If you don’t love cooking, then I am sure your food blog is going to fail in next few months. Mostly food bloggers start a food blog quickly and share whatever they prepare without any plan. But very soon, they lost interest of experimenting new dishes and at the same time writing the same. Remember one thing, if you search for best butter chicken recipe in Google you will find millions of results. Then why people will go into your page? So, think in that point of view and prepare recipes in yoru style. Add spices in your cooking style, narration style or presentation skill etc. I know you have a good camera which is enough to click the pictures of your recipes. But do you know that a with a good digital camera you can take even better pictures and present them like a pro. Here are the few best camera for food photography, that you should take a look. There are lots of food photography tips available online. First read few of them and then try to take some best clicks of your recipes. Presentation make a huge difference between 2 content, even if the process of preparing the dish is same. Although organic traffic plays a big role while growing a website, but as food blogging has a huge importance of pictures social media platforms like Facebook, Instagram plays a huge role to make your recipes viral and bring huge traffic. So, make sure from day one you start with your social media profile. For any tips just search with how to become a food blogger on instagram, Facebook etc. You can learn various tips and then apply them accordingly. So, now the key part of making money from Food blog. Let me tell you very clearly that it is actually not that easy to make money from any kind of website which doesn’t have traffic or followers. So, you have to work hard to generate huge traffic, create a list of followers of your recipes then only you can think about monetising that traffic. There are couple of ways through which any food blogger with good traffic can make money. Recommend various utensils, kitchen appliances related to cooking and make money through affiliate marketing. But again, I want to repeat that it should not be a priority now. At least make sure you are getting a good organic traffic before you think of monetizing your food blog traffic. So, why are thinking so much. If you are good cook, then this is a very high quality skill if you know how to utilise it through a food blog. Just make your life easy, use start with Bluehost hosting + Free domain and then jump into writing recipes. It is really tough task to make a food blog successful as the competition is high. But then again, why to fear about the competition? So, I hope this article will really help & motivate you to start a food blog in 2018.